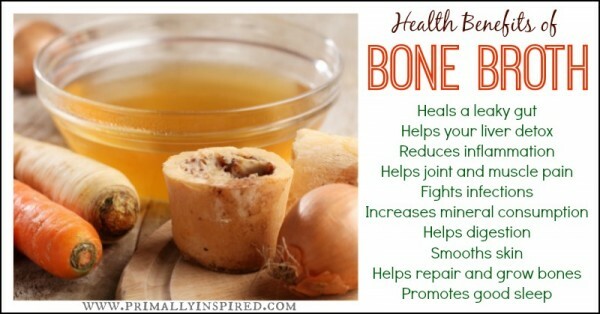 All you need to make a fabulously healthy Primed Bone Broth is left over bones (chicken, lamb, beef etc. ), water, vegetables (including peeled veg and trimmings) and some herbs and spices. Put it in a pot, slow cook for a number of hours and you have a nutrient dense meal suitable for breakfast, lunch and dinner. 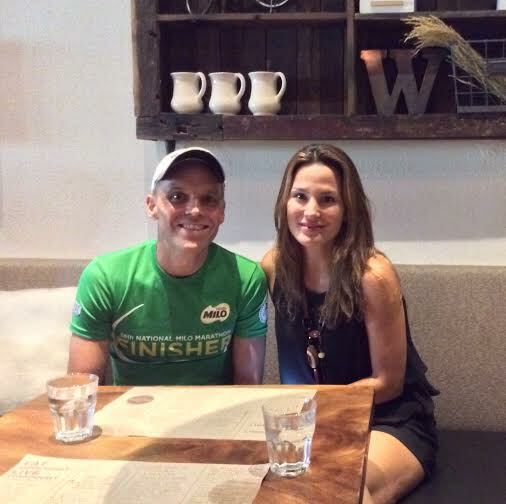 Bone Broth, or Stock, is a hot item in the health world at the moment with only Coconut Oil and Intermittent Fasting being equally popular. The reason for its popularity is due to the wonderful nutrients for your mind and body for an inexpensive price. – Bones from your Roast Chicken dinner, Primed Roast Lamb with Roast Squash and Garlic Dinner etc. 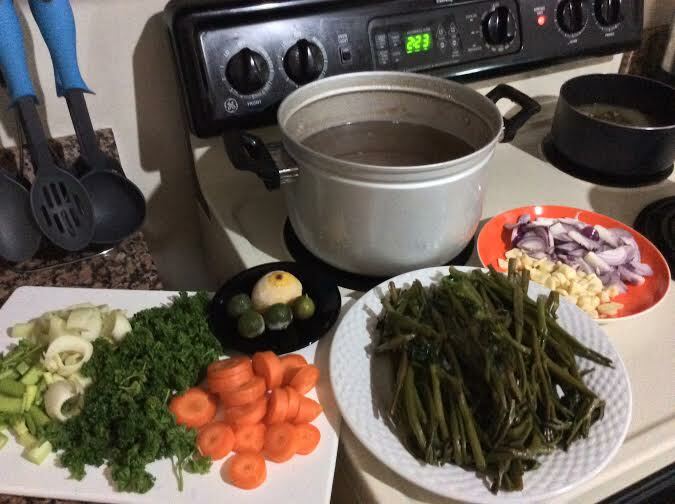 Vegetables such as: Celery, Carrots, Broccoli, Tomatoes, Spinach, Kale, Malunggay etc. 1. 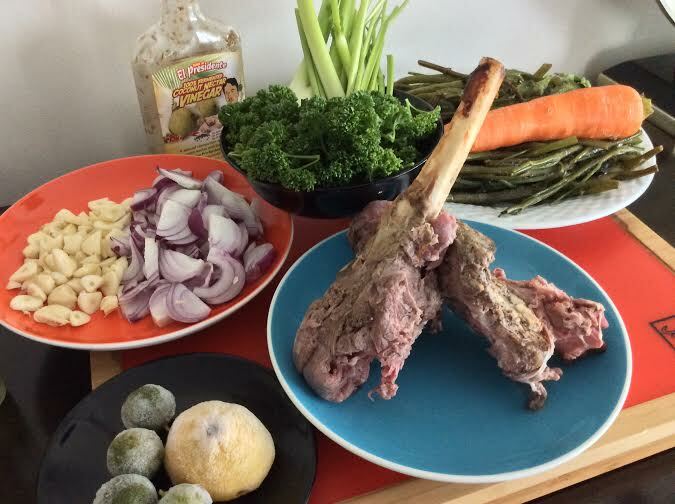 There are many ways to make your Primed Bone Broth/Stock. Using fresh ingredients is the key and working out a way that suits you is most important. 2. After getting my Bones, Lemon peel and vegetable trimmings from the freezer I allow them to thaw as I fill my large pot with cold water. 3. 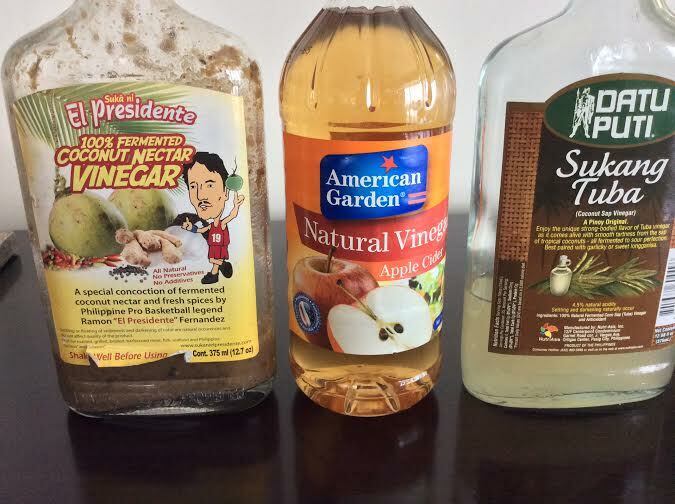 I then add the bones and my Vinegar to the water and allow it to sit for 30 minutes. 4. I will then heat the water slowly till it comes a boil (maybe on 5/10 heat) then add my thicker cut vegetables and stir. 5. Then I will add my onions, garlic and ginger (optional) and stir. 6. I’ll then add salt, pepper and a dash of turmeric. 7. Turn the heat down to 2 and place the lid onto your pot and let it work its magic for anywhere between 4 to 8 hours. The longer the broth is cooked it will be more flavorful and rich. 8. Towards the end of your slow cooking add your parsley and sea salt for enhanced vitamins, minerals and flavor. 9. You can then strain the liquid into a container/containers for a clear stock. 10. You can strain as mentioned above and then add in your meat that has fallen off the bone, your vegetables and other goodies. We have to do this so as to remove the Spinach stalks and other vegetables that are not easy to eat but from which we extracted the goodness. 11. You can freeze a portion of your Primed Bone Broth if you wish. 1. 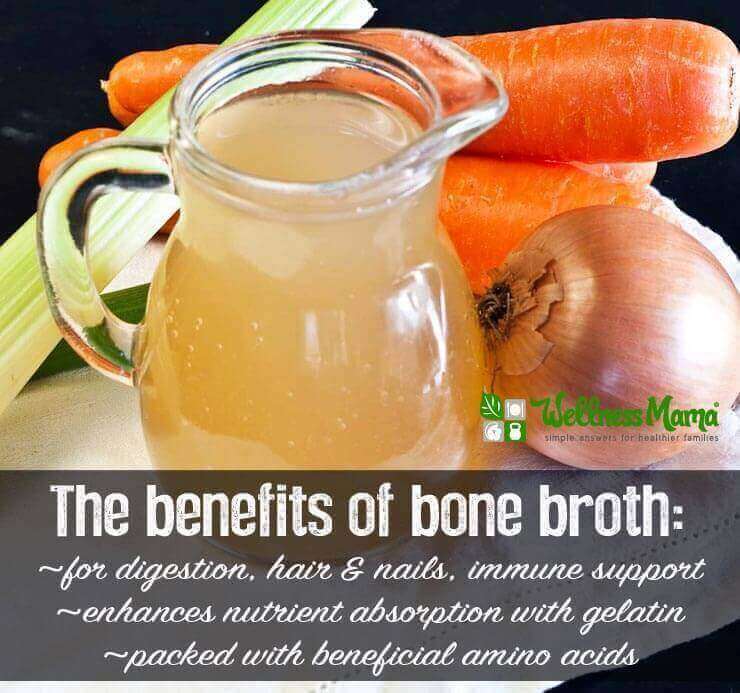 As you can see below, there are many great health benefits to be derived from a quality Primed Bone Broth. 2. It is an inexpensive and easy way to get added minerals and vitamins that might otherwise be lacking in your diet. 3. It is a great way to minimize waste in your household.